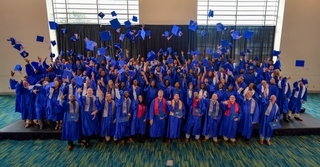 PASCAGOULA, Miss., Aug. 28, 2017 (GLOBE NEWSWIRE) -- Huntington Ingalls Industries’ (NYSE:HII) Ingalls Shipbuilding division hosted a ceremony on Saturday for 123 graduates of its apprentice program. The class of 2017 graduates represent several classes of shipyard trades. Since 1952, Ingalls’ Apprentice School has produced nearly 5,000 graduates trained to fulfill the shipyard’s operational needs. The program offers a comprehensive two- to four-year curriculum, in partnership with the Mississippi Gulf Coast Community College, for students interested in shipbuilding careers. More than 60 faculty and staff members deliver 15 programs and more than 120 course offerings to apprentices to gain not only the skills, knowledge and pride of workmanship, but also the educational foundation and personal qualities needed to fully meet the challenges of a shipbuilding career. 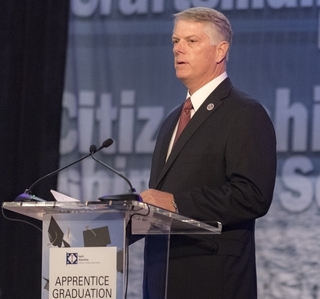 Today more than 1,600 apprentice alumni fill approximately 50 different types of jobs at Ingalls, many in craft, with 850 alumni going on to management and professional roles throughout the shipyard.